Fifty Shades Freed Review. The climax to trilogy is here at last. Fifty Shades Freed is the third and final instalment of the Fifty Shades trilogy taken from the original books by E. L. James. 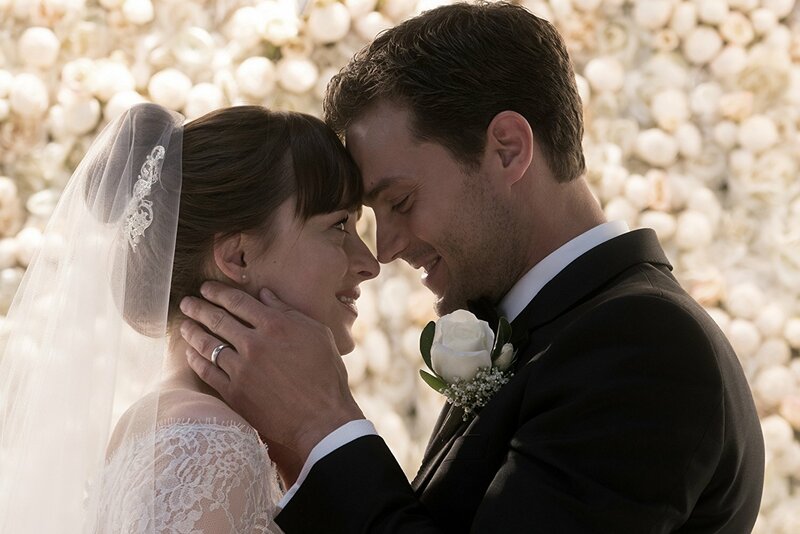 The last movie ended with Christian Greys dramatic proposal to Anastasia Steele and this one picks up quickly from there by skimming over the wedding with an early monologue. This leads us nicely into the movie itself which definitely does not try to reinvent the wheel here as it continues down a similar path to the previous two. After the new Mr and Mrs Grey return from there extended honeymoon in Europe Anastasia quickly has to adjustment to her new husband very busy work schedule and domineering attitude that has been the main problem between the couple since day one. This of course continues in fifty shades freed as Ana finds herself wanting a bit more freedom and space not long into their married lives together. Ana’s old boss from the publishing company also returns to cause trouble as he seems intent on destroying the seemingly perfect lives of Anastasia & Christian. The plot for this one feels disappointingly weak at times and does feel that this franchise has run its course. It’s hard to believe after 3 movies Anastasia still seems surprised when she finds out Christian owns his own Jet. E. L. James has made a lot of Money from the Movies & Books and there is no doubting she is an excellent writer, it just seems she may have gone to the well once too often for this one. With that being said, Fifty Shades has a truly massive fan base that are sure to pack out cinema’s all over the world for this one over the coming weeks.